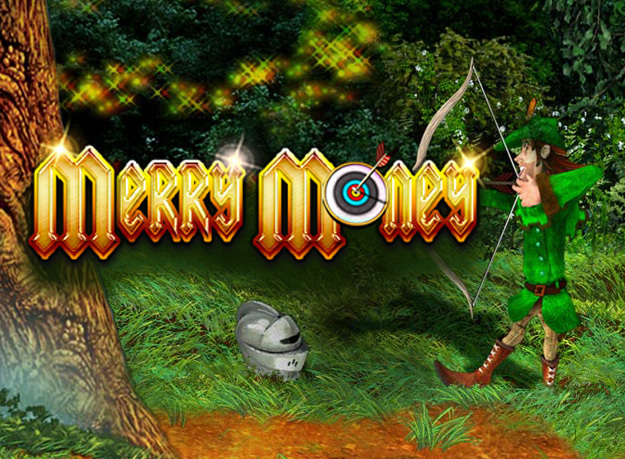 Merry Money slots will take you on a thrilling adventure with Robin Hood and his merry men! Play the Hall of Plenty Bonus and collect loads of treasures! Merry Money slots is a 5 reel, 9 payline slot packed with incredible bonuses! The slot has a Robin Hood theme and includes spectacular graphics and animations! The Bonus symbols can activate the Target Bonus round where you need to shoot arrows to enter the next level game! According to where your arrows land, you’ll trigger either the Win Spins or Hall of Plenty Bonus! In this round, help Robin pick a door and see how muck treasure he can grab before the guard wakes up! The Target symbols will help you play the Pick Me Bonus for even more generous prizes!